EC sources say while polls are usually held within 6 months of dissolution of assembly, they can be postponed if law & order situation is not conducive. New Delhi: Assembly elections in Jammu and Kashmir may not happen within six months, as stipulated by the Supreme Court, top sources in the Election Commission told ThePrint — a day after Governor Satya Pal Malik dissolved the state assembly. The rule says once an assembly is dissolved, elections must be held within six months. But if the law and order situation of the state does not permit elections they can be extended beyond the six-month period, a senior EC official said, speaking on the condition of anonymity. “That is the rule, of course, and it should happen, but in case of any exigencies, the elections may not happen within six months,” he said. “For example, in the case of Anantnag, elections have still not taken place because we got specific information from the chief secretary and DGP that the situation is not ripe for polls,” the official said. 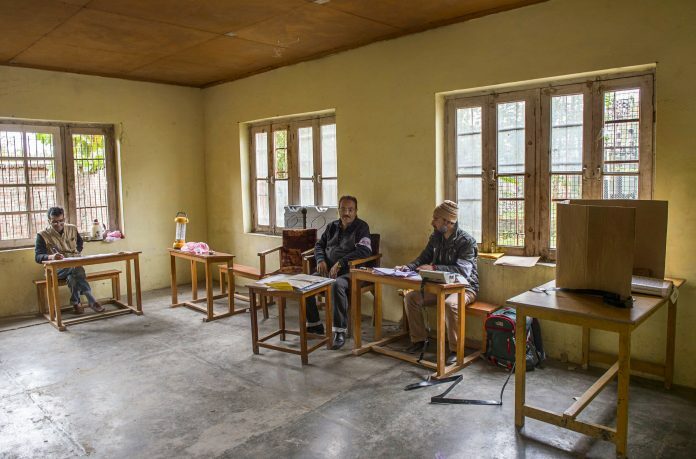 The by-election for the Anantnag Lok Sabha seat in the Valley has been put off repeatedly since April 2017, with state authorities citing security fears to say the atmosphere was not conducive for holding the election. However, in an interview to NDTV, Chief Election Commissioner O.P. Rawat said the election must be held before May and can possibly be held before the Lok Sabha polls as well. “That will be the case if the situation is normal, but a lot of factors will be looked at, and the home ministry will also come into the picture to ascertain if the situation is conducive for polls,” said the senior EC official cited above. If polls are not held in the state, the Centre will continue to rule in the state through Governor or President’s rule. Malik dissolved the assembly Wednesday evening hours after Peoples Democratic Party leader Mehbooba Mufti staked claim to form government with the support of Omar Abdullah’s National Conference (NC) and the Congress. Moreover, the model code of conduct (MCC) may not apply to the state the same way it was applied to Telangana after its assembly was prematurely dissolved, the official added. While in September the poll panel passed a significant order stating that caretaker governments that have prematurely dissolved the state assemblies and called early elections would be barred from announcing any major policy decisions, the situation in Jammu and Kashmir was “slightly different”, the senior official said. “The Bommai judgment which we used for that order in Telangana might not apply in the case of J&K because there is no caretaker chief minister in the state… Instead the state is under Governor’s rule and may come under President’s rule if Governor’s tenure is not extended,” the official said. “The situation in Kashmir is not the same as Telangana where K. Chandrasekhar Rao was to continue as caretaker CM,” the official added. The EC’s decision to make the poll code kick in as soon as an assembly is dissolved was taken days after Telangana CM Rao dissolved the state assembly to seek a fresh mandate. However, the issue is still being examined legally as of now, and no decision has been taken yet, the official added.